I am happy to announce that I have been invited to join Innovative HealthCare Speakers.com as a member of their innovative healthcare speakers bureau. Innovative Healthcare Speakers is a division of Second River Healthcare Press, a specialty medical publisher. It was originally founded as a way to book speaking engagements for their published authors and has become an independent company in the last 7 years. Innovative Healthcare Speakers is 100% dedicated to providing the healthcare industry with nationally recognized speakers who provide innovative solutions to problems, issues, trends and instabilities affecting healthcare today and tomorrow. We work with hospitals, health systems, state and national associations, healthcare vendors and any client that is in need of a speaker to address a healthcare topic. The services Innovative Healthcare Speakers provides for you are free. We are compensated by the speaker, not the client, and only for the engagement we secure for them. Our job is to be the liaison between the client and the speaker by providing you with the best possible speaker that will exceed your needs. At Innovative Healthcare Speakers, exceptional service is our mission. We work hard to do the time consuming legwork for you and to provide results in a pleasant, prompt and efficient manner. Our team is excited to have an opportunity to be of service to you and we take great pride in your success. Dr. Drummond is a high-energy speaker and trainer with a unique focus on enabling Transformation rather than simply providing you with more Information. Dr. Drummond is a Mayo trained Family Practice Physician with a unique combination of ground level experience in Medicine, Coaching and Personal & Business Development. 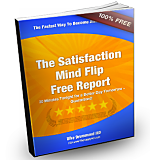 Dike Drummond creates a unique learning environment where all attendees have fun building a Personal Action Plan of simple steps you can take the next day on the job to improve your Effectiveness and Quality of Life. He delivers highly interactive, fully customized teaching on Burnout Treatment and Prevention, Stress Management, Physician and Staff Wellness, Collaborative Leadership by Asking Questions and Coaching Skills for Leaders. Dike Drummond MD is a Mayo trained Family Practice Physician with a unique combination of ground level experience in Medicine, Coaching and Personal & Business Development. 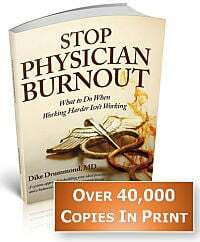 “The burnout epidemic amongst our physicians and other healthcare providers is a completely predictable result of their medical training and the generally accepted definition of “success”. Dike graduated from the Mayo Medical School in Rochester, Minnesota in 1984 and completed his Family Practice Residency at the Shasta Cascade Program in Redding, California in 1987. Dike Drummond practiced full spectrum Family Medicine for 15 years as a member of the Skagit Valley Medical Center in Mount Vernon, Washington. He was also the Chairman of the Executive Committee and Managed Care Medical Director for that organization. Dike Drummond left medicine in 1999 to become an Entrepreneur beginning with his Interactive Guided Imagery Practice. He served as COO of Superteams, LLC providing Leadership and Facilitation training to Lean Six Sigma Black Belts in all branches of the US Military. He is certified as a Life and Business coach with extensive experience in personal and business development with startup entrepreneurs and physicians. 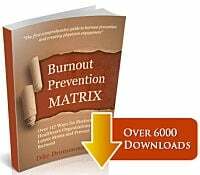 Dike Drummond is CEO of TheHappyMD.com providing Burnout Treatment and Prevention Coaching to Physicians and other Healthcare Providers. His writings on Burnout Prevention and Work Life Balance and Boundaries have been published online in KevinMD.com, Sermo.com and HeathworksCollective.com.